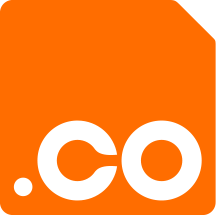 .CO is the official country code Top-Level-Domain of Colombia. .CO offers individuals and organizations exciting new options in branding their online presence. Research has shown that .CO is immediately recognizable by registrants around the world to mean "company", "corporation" and/or other types of commercial ventures. Although a .CO domain stays in your account for 44 days after a failed renewal before it gets deleted, the registry deactivates the DNS resolving for the domain during this period. The reseller's name and URL may be supplied as X-WHOIS-RSP and X-WHOIS-URL parameters within the API commands AddDomain and ModifyDomain. Please beware that you should supply the reseller's name with X-WHOIS-RSP if you want to set the reseller's URL with X-WHOIS-URL. This page was last modified on 1 December 2017, at 09:23. This page has been accessed 17,689 times.